In our Edinburgh Campus Library we have a selection of individual and group study rooms and spaces. These are available for students to book and we have improved the booking system in order to make it fairer and the spaces accessible to more users. There are 21 individual study rooms located on floor 2 and 3 of the library. These can be booked at the Service Desk on floor 1 for a 3 hour slot. The slots that are available are Monday – Friday 9.00 – 12.00, 12.15 – 15.15, 15.30 – 18.30, 18.30 – 21.30, weekends 10.00 – 13.00, 13.15 – 16.15, 16.30 – 19.30. A key can be collected from the Service Desk in exchange for an ID card. At the end of the time slot, the key should be returned. It is possible to book a day in advance by asking at the desk. 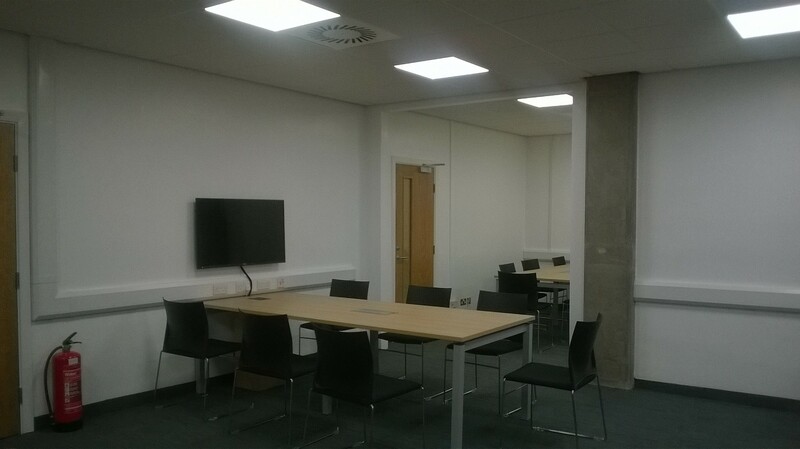 There are also 2 group study rooms on floor 2 and 5 new study tables in the refurbished area of floor 1. 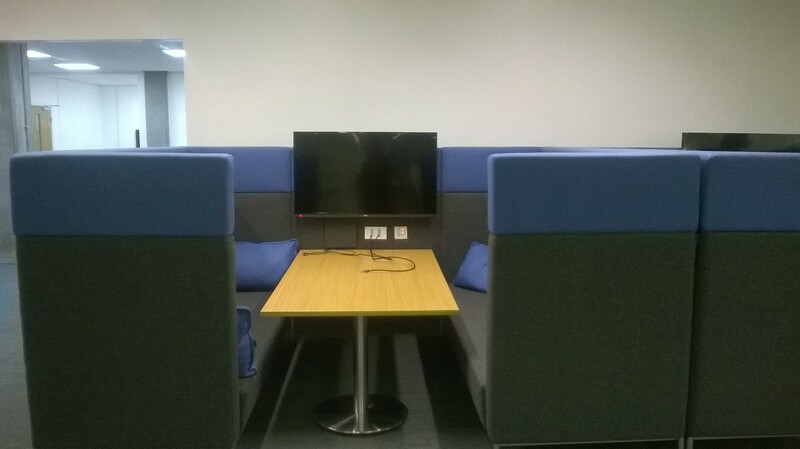 These group spaces can be booked in exactly the same way as the individual study rooms by coming to the Service Desk and swapping an ID card for a key. The time slots are the same as above. It is only possible to book one slot per person per day as these spaces are extremely popular and we want to ensure that they are available to as many students as possible. 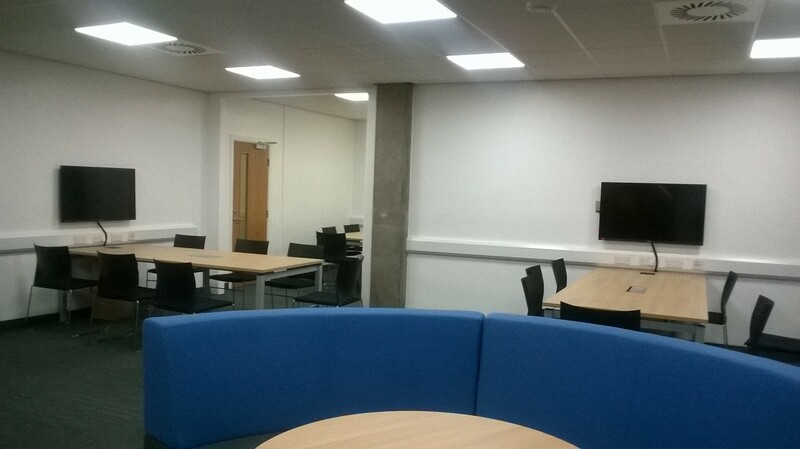 There are also 2 group study booths – currently these spaces are free to use at anytime and don’t need to be booked. Priority will be given to groups of three or more people for collaborative work. Just a reminder that although covered drinks are allowed in our study spaces, any food should be consumed in the cafe area only in order to keep study areas clean and appealing for all students and staff.